Townland of Origin: No Irish Need Apply - Fact Or Fiction? There are some common myths in the genealogy world that experienced researchers regularly hear from those with a pop culture knowledge of genealogy. "My ancestor's name was changed at Ellis Island"; "three brothers came to the US and settled in different areas"; "one of my great-grandmothers was a native American princess." An excellent piece of academic research , from the early part of the century, has challenged one of the common assertions of genealogists with Irish ancestry; that "no Irish need apply" was a widespread notice in newspapers. The abstract of this article is repeated below. The full article can be accessed here. Irish Catholics in America have a vibrant memory of humiliating job discrimination, which featured omnipresent signs proclaiming "Help Wanted--No Irish Need Apply!" No one has ever seen one of these NINA signs because they were extremely rare or nonexistent. The market for female household workers occasionally specified religion or nationality. Newspaper ads for women sometimes did include NINA, but Irish women nevertheless dominated the market for domestics because they provided a reliable supply of an essential service. Newspaper ads for men with NINA were exceedingly rare. The slogan was commonplace in upper class London by 1820; in 1862 in London there was a song, "No Irish Need Apply," purportedly by a maid looking for work. The song reached America and was modified to depict a man recently arrived in America who sees a NINA ad and confronts and beats up the culprit. The song was an immediate hit, and is the source of the myth. Evidence from the job market shows no significant discrimination against the Irish--on the contrary, employers eagerly sought them out. Some Americans feared the Irish because of their religion, their use of violence, and their threat to democratic elections. 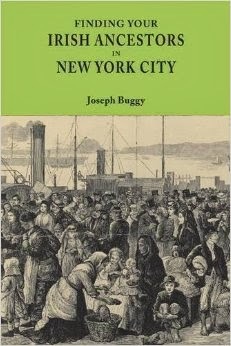 By the Civil War these fears had subsided and there were no efforts to exclude Irish immigrants. The Irish worked in gangs in job sites they could control by force. The NINA slogan told them they had to stick together against the Protestant Enemy, in terms of jobs and politics. The NINA myth justified physical assaults, and persisted because it aided ethnic solidarity. After 1940 the solidarity faded away, yet NINA remained as a powerful memory.